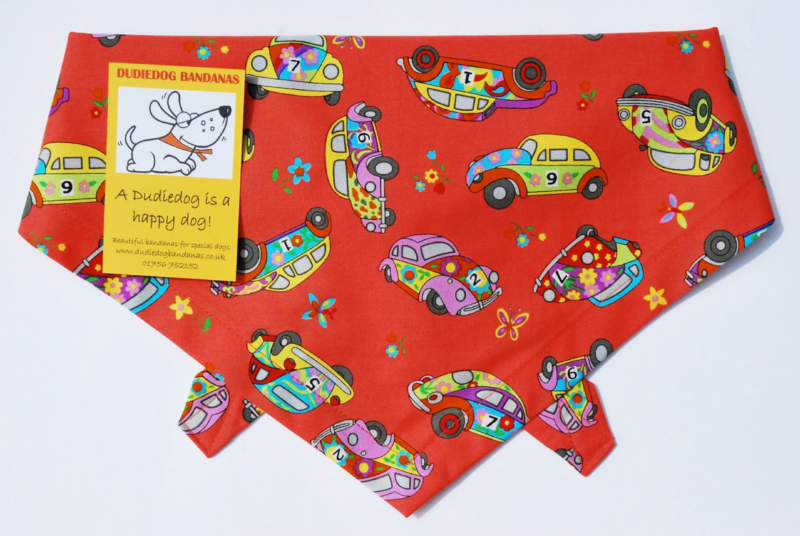 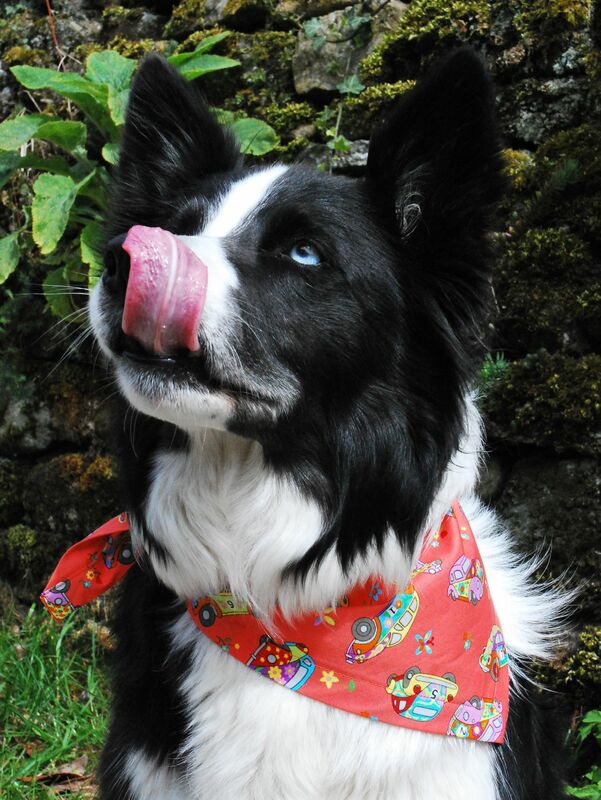 A gorgeous coral pink/orange Classic Beetle/ Lovebug dog bandana with lovely bright, multicoloured cars and flowers too! 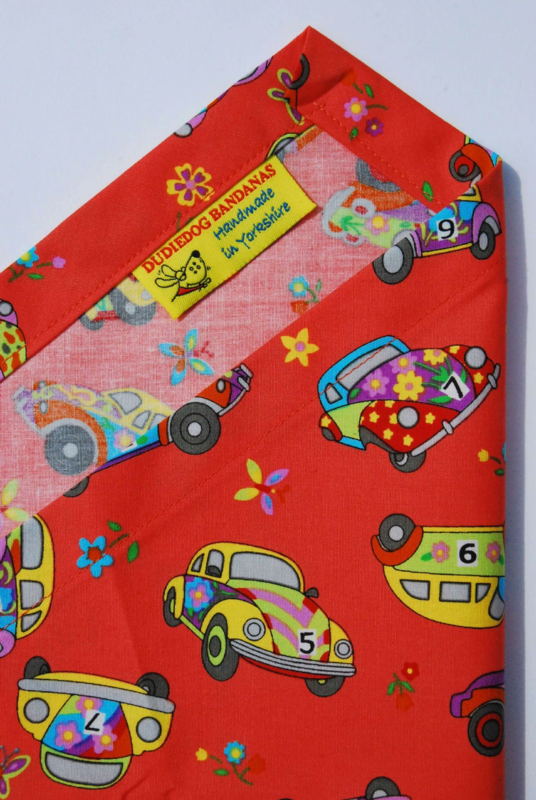 Perfect for any VW classic car enthusiast, (and a must-have for anyone attending classic car rallies!) 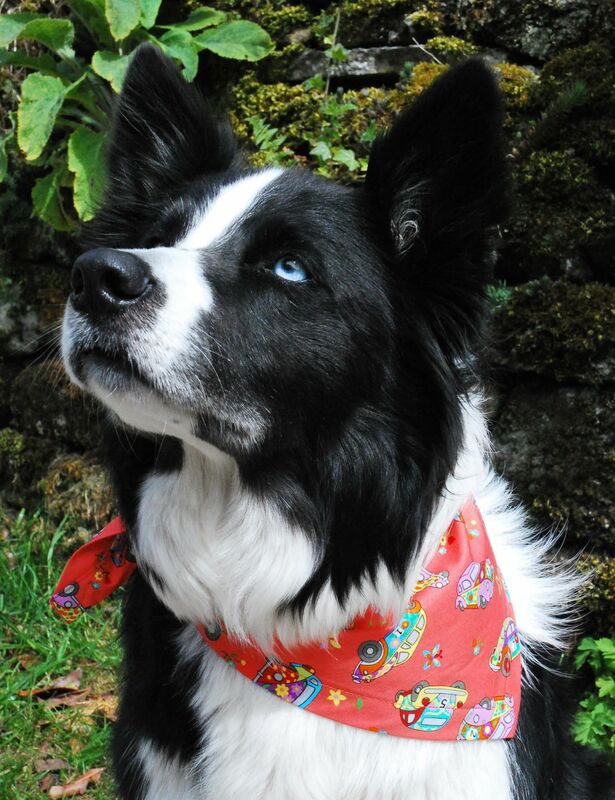 or anyone just looking forward to the summer!